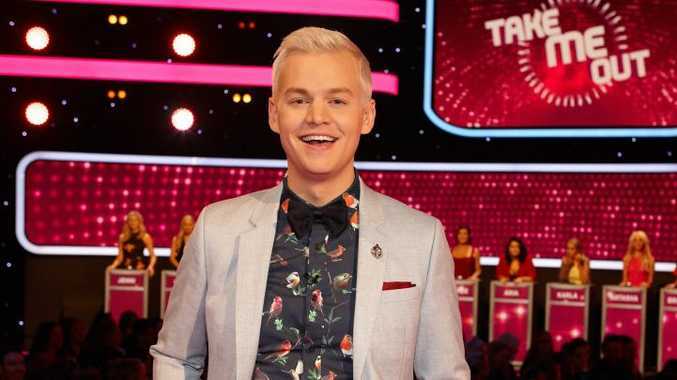 JOEL Creasey aims to be the ultimate wingman in his latest TV role. 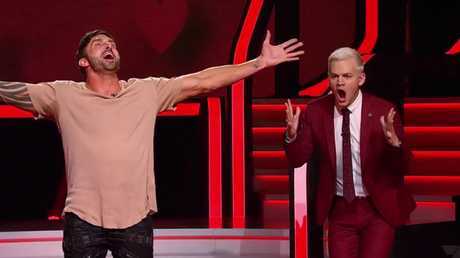 As the host of Take Me Out, the new version of the Aussie dating show Taken Out, which inspired the Chinese spin-off If You Are the One currently enjoying a cult following on SBS, he introduces a series of single men to a panel of discerning single women known as the "Flirty 30". "I never saw Taken Out when it started here but I'm a huge fan of If You Are the One," Creasey says. "My parents are British, so I've watched a bit of Take Me Out in the UK. When they called me about it, it was something I never considered myself for but further down the track I thought 'this has to be mine'. It's lovely to be part of it now that it's coming back to Australia fully formed and all shiny. It's exciting." 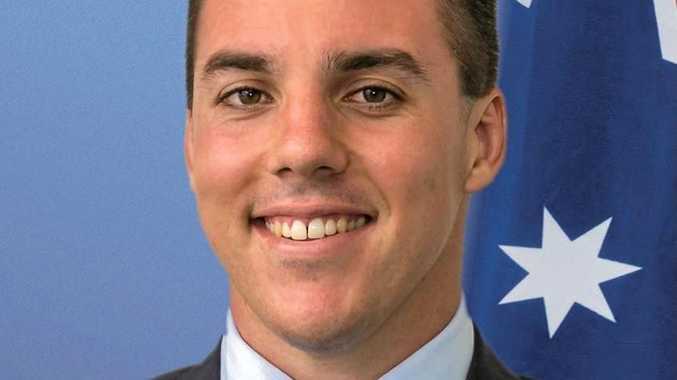 The new gig has its similarities to his role as Eurovision co-host for SBS, even though he's playing matchmaker rather than cultural commentator. "With Eurovision you never know what's going to happen and with Take Me Out you never know what's going to come out these girls' mouths," he says. "Gosh they really made me laugh. "There's really nothing to lose for the girls. They're in charge." Creasey spent a week studying up on his panel women, who must choose whether or not to keep their light on - signalling their interest in going on a date - as they get to know potential suitors over three rounds. "I have to remember where all 30 girls are positioned on the stage," he says. "I knew it was going to be a lot of work and that I needed to meet them all to put a face to a name. I had a week of intensive study with my writing team just learning about them. "We start with 30 but then there are 20 girls who come in throughout the season (replacing those who land dates), so there were about 50 girls I met one by one over two days." But Creasey wasn't afraid to stick up for his fellow men when they faced rejection from the panel. "I'm everyone's wingman," he says. "I really respect the guys because they had such a good sense of humour about it. Everyone came into it knowing it's a comedy show first and foremost. "It's interesting seeing what these girls went for. Often it was completely different to what they told me they wanted. I think sometimes when you see someone and have a connection all the rules go out the window." Creasey hopes the show provides some light-hearted comic relief for viewers. "We know what we are and we're not trying to reinvent the wheel," he says. "We're not trying to break anyone's hearts. You're not tuning in for the catty infighting. When my boyfriend and I sit down to watch TV, which is every night, if we're watching something like The Handmaid's Tale then we need a show to watch before or after and this is that. It's a fun, light-hearted night on the TV. It's naughty but it's mostly innuendo and if your child gets it then you need to find out who they're hanging out with." 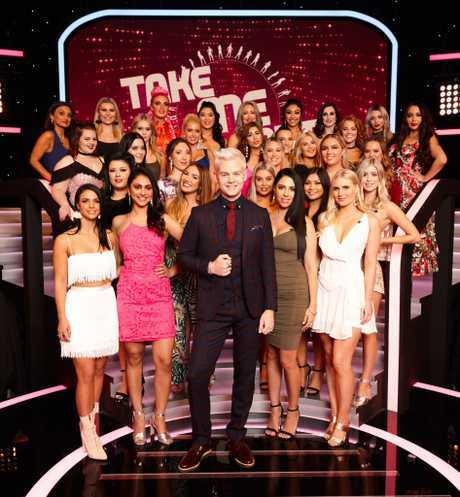 Take Me Out continues on Tuesday at 7.30pm on Channel 7.